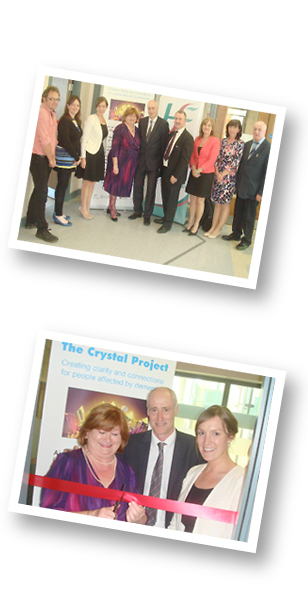 The Memory Resource Room is the base for The Crystal Project and is situated on Floor 2 of Mallow Primary Healthcare Centre. Welcome you are now at MPHC. Immediately after passing under the flyover take the second right into Mallow Business Park. Continue up the hill and take the second exit at the roundabout.Take the first exit left at the next roundabout and turn left into the car park. From Killarney N72 enter Mallow under the railway bridge. At the roundabout take the 3rd exit for Cork N20 and follow that road. Take the next exit right marked Dromahane/ Mallow Business Park R638. Continue straight along this road and under the fly over heading for Mallow Town. Welcome, you are now at MPHC.